Well, here’s a nice surprise for fans of melodic rock music. Michael Kiske is back in a band situation, and has come up with a hell of an album. After the critically panned (deservingly so, I might add) SupaRed album, Kiske swore off metal and pretty much disappeared for a while. Luckily, Kiske has not disappeared from the music scene entirely. Leaving SupaRed in the past, Kiske has formed Place Vendome in collaboration with members of PC69. Production duties are handled by Dennis Ward, who also plays bass for the band. David Readman and Alfred Koffler of PC69 also had a part in the songwriting for this album. Furthermore, PC69 drummer Kosta Zafiriou and PC69 guitarist Uwe Reitenauer are both members of Place Vendome. Gunther Werno of Vanden Plas handles keyboard duties for Place Vendome. I love the irony of all this. PC69 is the former band of Andi Deris. When Michael Kiske left Helloween after the Chameleon album, Andi Deris was recruited from PC69 to replace Kiske. Now, over ten years later, Kiske is working with Deris’ former band. With a lineup like this, you might expect a fine album of melodic hard rock. The guys certainly deliver an album of top notch hard rock. I do expect a group of fans to dislike this album for what it’s not instead of what it is. Having participated in two of the most influential metal albums ever, Keeper of the Seven Keys parts I & II, Kiske will always be attached to that sound. Naturally, some fans will never be happy unless Kiske produces music in the same vein of his days with Helloween. Having said that, it is logical to conclude that some fans will dislike this album simply because it is not a continuation of Keepers era Helloween. Sure, I’d like to hear Kiske in a metal band again too. However, I’d much rather hear Kiske releasing quality hard rock music as opposed to nothing at all. Besides, if his heart is no longer in metal, I don’t think a Kiske fronted metal band would sound anything other than “forced.” Fans of hard rock and AOR will almost certainly eat this one up. I can safely say that this album is Kiske’s best post Helloween effort, mightily surpassing both his solo albums, and the lackluster SupaRed album. The album starts off with the hardest hitting track of the album, Cross the Line. This track borders on melodic metal, allowing Kiske to boldly proclaim that his majestic, soaring voice is still in top form. Backed by solid riffing and rich harmony vocals, this track parallels PC69 at its heaviest. The keyboard textures provide a distinctive hint of Vanden Plas as well. From this point forward, the album steps the tempo back a notch to mostly mid tempo hard rock to AOR territory. Still, the quality of songwriting remains extremely high, something that was sorely missing from the SupaRed album. I Will Be Waiting and Too Late follow up the hard hitting opening track, both mid tempo tracks more representative of the album as a whole. I Will Be Waiting sees Kiske reach the higher octaves, much like in a mid tempo Helloween track such as Dr. Stein. Too Late sees the band venture into AOR territory, but let that deter you. I don’t think this track could have been constructed any better. From the wonderful keyboard background to the backing vocals, and the huge melody emphasized by Kiske’s soaring vocals, I guarantee this track will be stuck in your head after just one listen. Next up is I Will Be Gone, another midtempo offering reminiscent of mid tempo PC69. Despite the restrained tempo here, Kiske again demonstrates his soaring range, adding a lot of character to this tune. Swirling keyboards and persistent guitar soloing give this track an ominous feel. At this point, I think the album could use a pick me up of sorts ala Cross the Line, but instead a slow, but darker and moody The Setting Sun is next in line. A strong bass presence and keyboard section creates a different, but welcomed atmosphere here. As with the rest of the album, Kiske’s vocals really drive home the melody with this track. Finally, the next track, the title track, provides the tempo boost that I feel is needed for sake of balance. This track is an up tempo, happy rocker that could be compared to I Want Out or Kids of the Century style Helloween meets PC69. Again, the anthemic chorus line of the song won’t leave your mind anytime soon. Heavens Door again changes the pace of the album. This time, the band goes for an acoustic driven, heartfelt AOR type of ballad that shows off a different but very impressive dynamic to Michael Kiske’s voice. Just the right amount of keyboards supplement this song, making for a nice listen. Right Here is an upbeat follow up, a true to form melodic AOR track with a subtle, yet effective keyboard accompaniment. Magic Carpet Ride is next in line, featuring another swirling keyboard texture, an anthemic melodic structure, and soaring vocals by Kiske throughout to drive the melodies home. Classic PC69 syle soloing almost sings during the latter half of the song, making it another winner on this album. Finally, Sign of the Times closes the album. The song starts off with on a bit of a sullen, moody note, much like The Setting Sun, but picks up steam to end the album on a mid tempo rocking tone. Well, there you have it. All in all, I consider Michael Kiske’s new venture a very successful and worthwhile effort. Fans of melodic rock and AOR will certainly want to jump on this one. Those of you yearning for Kiske to pick up where Keepers of the Seven Keys part II left off will be disappointed. In terms of songwriting and musical performances, it’s hard to find any complaints here. The only thing I would have changed is inserting another Cross the Line style of rocker into the middle of the album, probably right after I Will Be Gone. I think this would have created the optimum balance and running order, but that’s a nit picky point. As it is, Place Vendome’s album is an outstanding slab of AOR / melodic rock. Michael Kiske’s voice is still as amazing as ever, and he certainly has surrounded himself with first rate musicians and songwriters. So, if Kiske never decides to perform heavy metal again, I will be more than happy to listen to him perform this type of music so long as the quality is of this magnitude. Congratulations to Kiske and his bandmates for one of the strongest melodic rock / AOR albums in recent years. 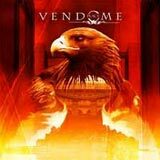 Hopefully, Place Vendome will be an ongoing band, and not just a “one and done” project. Also, I hope that fans of Michael Kiske can look at this gem for what it is, instead of what it is not.